The Trump administration says it wants more innovation in higher education. And it believes rewriting the rules for college accrediting agencies is the best way to encourage innovation. In an exclusive interview with Inside Higher Ed, the administration’s top higher education official described the philosophy behind the latest proposed regulatory overhaul, which the U.S. Department of Education unveiled Monday by introducing a wide-reaching rule-making session. The changes the department is mulling give the clearest sign so far of an affirmative higher education agenda from the Trump administration, which in its first 18 months has focused on blocking or watering down key Obama administration initiatives. The proposals could have far-reaching effects on the educational models colleges pursue, as well as for noncollege education providers. Diane Auer Jones, the department’s principal deputy under secretary, delegated to perform the duties of under secretary and assistant secretary for postsecondary education, said the administration’s goal is to reduce compliance requirements for accreditors, freeing them up to focus on educational quality while more clearly defining the college oversight roles of those agencies, state governments and federal regulators. The broad plan from Education Secretary Betsy DeVos to “rethink” higher education is a stark contrast to the Obama administration’s approach, which made a signature policy of tougher scrutiny of accreditors, often citing oversight failures involving low-performing for-profit colleges. In what will be the one of the most controversial proposals, she said the department wants to drop a standardized definition for academic course work, known as the credit hour, that the Obama administration rewrote in 2010 to curb credit inflation. The rule-making session also will feature a re-examination of requirements for online education, including faculty interaction and state authorization rules. In addition, Jones said, negotiators will be tasked with evaluating rules for competency-based education and the outsourcing of academic programs to nonaccredited providers and considering changes to the federal aid eligibility of religious institutions. The latest announcement follows the department’s release last week of a proposed overhaul of the 2016 Obama borrower-defense rule. Reports followed that DeVos plans to eliminate the gainful-employment rule and instead offer beefed-up program-level data on college outcomes through the College Scorecard. The department said it could not comment on plans for gainful employment, but Jones said offering additional Scorecard data will ensure all accreditors have the same information to assess institutions. Adding program-level data was a long-term goal of the College Scorecard’s creators. But the department’s proposal, which would not attach federal funding to outcomes, will do little to placate consumer groups or congressional Democrats, who have criticized the rollback of rules aimed at for-profits. Jones said DeVos wants to allow accreditors to “tolerate some risk.” For example, she said, the administration is interested in encouraging colleges to offer degrees through new online models at more affordable prices. The federal government outsources much of its gatekeeping role for student aid to accreditors. Without their approval, colleges and universities can’t maintain their access to Title IV federal funds. The agencies periodically have faced pressure from lawmakers and other critics who are unhappy with their oversight of college outcomes such as graduation and loan repayment rates, or, more recently, their scrutiny of corporate reorganizations and for-profit college conversions. DeVos and top department officials, however, believe accreditors are being asked to do too much to follow through on numerous federal requirements. “We need to have the back of our accreditors,” Jones said. She said constant criticism has made the organizations afraid to approve models that don’t hew closely to what higher ed has done a hundred times before. For example, she pointed to how the federal panel that oversees accreditors recently grilled the Northwest Commission on Colleges and Universities, the regional accreditor for Western Governors University, the online, competency-based giant. At a May meeting of the National Advisory Committee on Institutional Quality and Integrity, the regional accreditor was raked over the coals about an audit from the department’s inspector general that found the nonprofit WGU out of compliance with faculty interaction requirements. The department today will announce plans to launch a negotiated rule-making process in 2019 in which experts and stakeholder groups will consider less rigid standards for accreditors, with a goal of encouraging innovative delivery models. Jones said the administration isn’t endorsing particular options, however, such as the establishment of various levels of accreditation or specific carve-outs from federal rules. But Jones said the goal is for appointed negotiators to address those questions and to attempt to define more clearly the proper role of accreditors versus states and the feds. If negotiated rule making doesn’t end in consensus on new regulatory language, the department would eventually issue its own version. The purpose for federal negotiated rule-making sessions is for regulations to be shaped by a broad range of input, although rules issued by the Obama administration were opposed by many in higher education. While the department appears to have a drastically different attitude toward accreditors compared to the Obama administration, the most significant long-term changes proposed by the DeVos team may be the elimination of the standard credit-hour definition and an overhaul of the so-called regular and substantive requirements for faculty member interactions with students. Jones said accreditors have clamored for the department to get rid of the credit-hour definition, complaining it is difficult for them to track. Officials from some colleges, particularly those offering competency-based programs, have argued that the standard makes it difficult to comply with federal aid requirements. The Obama administration issued the credit-hour definition in 2010 after the inspector general found that colleges had inflated the value of credits to get more federal student aid. The IG’s report faulted accreditors — in particular the Higher Learning Commission — for failing to hold institutions to a standard for instructional time and recommended the creation of a credit-hour definition to ensure the government doesn’t pay more money for students to get less education. Jones, however, said the biggest providers of nontraditional education today — online colleges — have far more data on faculty instruction and student engagement than any other type of institution. And accreditors, she said, would come up with new ways to evaluate academic workloads based on that data. Proponents of the credit-hour standard — which is defined as one hour of classroom instruction and two hours of out-of-class work for one semester hour of credit — say that before the standard was issued, a unit of academic work was essentially whatever a college said it was. That led students in some cases to quickly use up their federal aid eligibility. The department said its plans to offer more program-level data on employment results for students and graduates will reduce burdens on accreditors, which are currently tasked with much of the tracking of college outcomes. The proposal appears to be an alternative approach — based on consumer information rather than wielding sanctions over federal aid eligibility — that would replace the Obama-era gainful-employment rule, which would have held programs accountable for producing graduates with student loan debt they can’t repay. Department officials declined to comment on the new rule, but The Wall Street Journal and The New York Times reported last week that the Trump administration plans to eliminate the rule and offer an expanded College Scorecard data in its place. Part of the administration’s goal with the accreditation overhaul, Jones said, is to better define oversight roles and to ensure that accreditors and state and federal regulators “stay in their lanes,” focusing on their core strengths. For example, she said, accreditors tend to be ill suited to properly scrutinizing the financial health of colleges or the specifics of complex financial interactions, including the wave of large for-profits that are seeking to convert to nonprofits. Those jobs are best left to the feds and state regulators, she said. 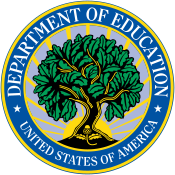 The department will propose that negotiators discuss federal rules for the outsourcing of portions of academic programs to nonaccredited or noncollege providers. Currently, no more than half of a program can be administered by an outside entity, such as an online program management (OPM) company. Jones said the discussion should build on lessons being learned from an Obama-era experiment to allow such partnerships to receive federal aid, dubbed the EQUIP program. 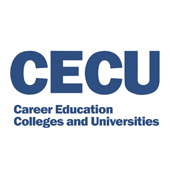 And she cited promising job training-focused collaborations between community colleges, continuing education programs at four-year institutions and trade associations or employers. When asked how the department would consider paying for the resulting possible expansion of federal aid spending, Jones cited bipartisan congressional support for opening up Pell Grants to short-term programs. The upcoming negotiated rule-making process also will address requirements for credit transfer between institutions. 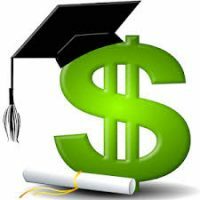 Many institutions tend to resist taking transfer credit from other colleges, due to concerns over academic quality and lost revenue, which can cost students time and money. The department wants to put more of an onus on colleges to justify not taking transfer credit, Jones said.